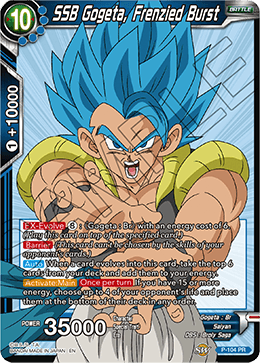 When you combo with this card, choose up to 1 〈Son Goku : Br〉 card, 〈Vegeta : Br〉 card, or 〈Gogeta : Br〉 card from your Drop Area and add it to your hand. 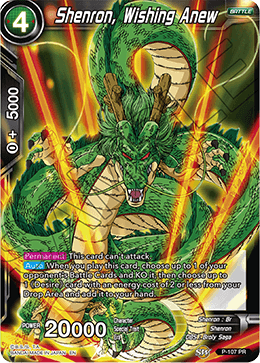 When a card evolves into this card, take the top 6 cards from your deck and add them to your energy. If you have 15 or more energy, choose up to 4 of your opponent's life and place them at the bottom of their deck in any order. 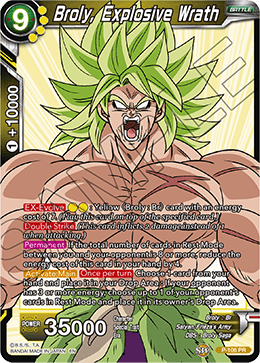 Choose 1 green card from your Battle Area other than this card and place it in your Drop Area : Draw 1 card. 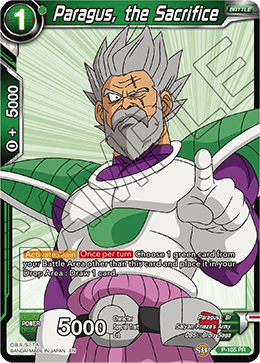 If the total number of cards in Rest Mode between you and your opponent is 8 or more, reduce the energy cost of this card in your hand by 4. Choose 1 card from your hand and place it in your Drop Area : If your opponent has 3 or more energy, choose up to 1 of your opponent's cards in Rest Mode and place it in its owner's Drop Area. 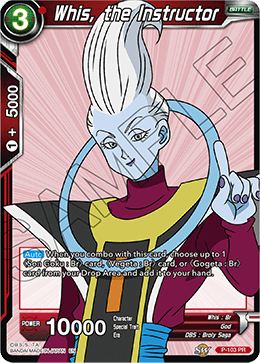 When you play this card, choose up to 1 of your opponent's Battle Cards and KO it, then choose up to 1 《Desire》 card with an energy cost of 2 or less from your Drop Area and add it to your hand.